What is an Ed Slott Elite IRA Advisor? This year marks the 20th anniversary of the Roth IRA. First made available to American investors in January of 1998, a Roth IRA is an individual retirement account that is funded with after-tax dollars and provides tax-free growth and income for retirement. In honor of this significant milestone, Richard C. Cella, III, CWS®, Managing Partner of Ipswich Bay Advisors is spreading the word about the benefits of this retirement savings vehicle. Cella is a member of Ed Slott’s Elite IRA Advisor GroupSM, an exclusive membership group dedicated to the mastery of advanced retirement account and tax planning laws and strategies. Members of Ed Slott’s Elite IRA Advisor GroupSM attend semiannual live training events and have year-round access to Ed Slott and Company’s team of retirement experts for consultation on advanced planning topics. To determine whether a Roth conversion is right for you, it may be beneficial to work with a financial professional who receives training in the ‘second half’ of the retirement game, the distribution phase. “As a member of Ed Slott’s IRA Advisor GroupSM, I take pride in knowing that I am up to speed on the latest retirement strategies and able to provide my clients with the help they need to plan for a successful retirement,” said Cella. ABOUT ED SLOTT AND COMPANY, LLC: Ed Slott and Company, LLC is the nation’s leading provider of technical IRA education for financial advisors, CPAs and attorneys. 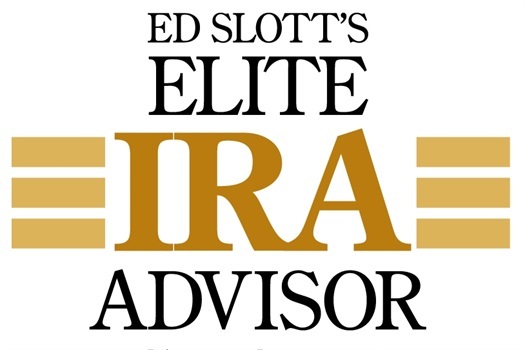 Ed Slott’s Elite IRA Advisor GroupSM is comprised of nearly 400 of the nation’s top financial professionals who are dedicated to the mastery of advanced retirement account and tax planning laws and strategies. Slott is a nationally-recognized IRA distribution expert, bestselling author and professional speaker. He has hosted several public television specials, including his latest, “Retire Safe & Secure! With Ed Slott.” Visit www.irahlep.com for more information. The founder of Ipswich Bay Advisors, Richard is a Certified Wealth Strategist, a member of Ed Slott’s Elite IRA Advisor Group, the nation’s leading experts regarding IRAs, tax planning and retirement distributions and author of the book, Your Personal Retirement Machine. He is a partner of Capital Advisory Group Advisory Services, LLC, a Registered Investment Advisory firm doing business across the US and a registered representative with United Planners Financial Services. In 1998, Richard founded Ipswich Bay Advisors (IBA), offering individuals and businesses a full complement of financial services, retirement and employee benefit plan solutions. Since its inception, IBA has grown to become a dynamic office offering comprehensive expertise in financial planning and investment management for individuals as well as qualified retirement plans and HR Outsourcing for employers. Richard began his financial services career in 1983 as a life insurance agent for John Hancock. After achieving many of their highest professional awards, in 1986 he directed his efforts towards retirement plans and employee benefits. In 1996 Richard earned a fellowship from the Life Underwriters Training Council, which included intensive training in financial services and retirement planning. Richard has excelled in his professional growth as an investment advisor to complement his expertise in retirement plans such as 401(k)s and IRAs. He is an industry leader not only for his business growth but, for the breadth and quality of his client services. He brings a combination of expertise and experience to our clients, offering an advanced customer service model. This model provides technical and investment advisory services to individuals as well as plan sponsors and includes comprehensive financial education for their employees. Richard is licensed in several states and holds a full complement of securities licenses under FINRA including series 6, 7, 24, 26, 63, 65, and 66 enabling him to offer his clients the complete universe of investment options including fee-based investment advice. Securities offered through United Planners Financial Services. Member FINRA/SIPC. Advisory services offered through Capital Advisory Group Advisory Services, LLC. Ipswich Bay Advisors, Capital Advisory Group Advisory Services and United Planners are independent companies.